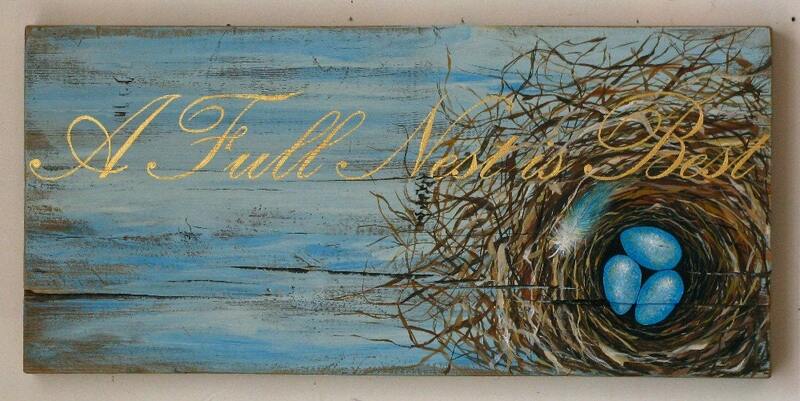 This original Egg and Nest painting, (A Full Nest is Best ), is one in a series. This is a ,Made to Order , art piece, 3-4 weeks delivery. 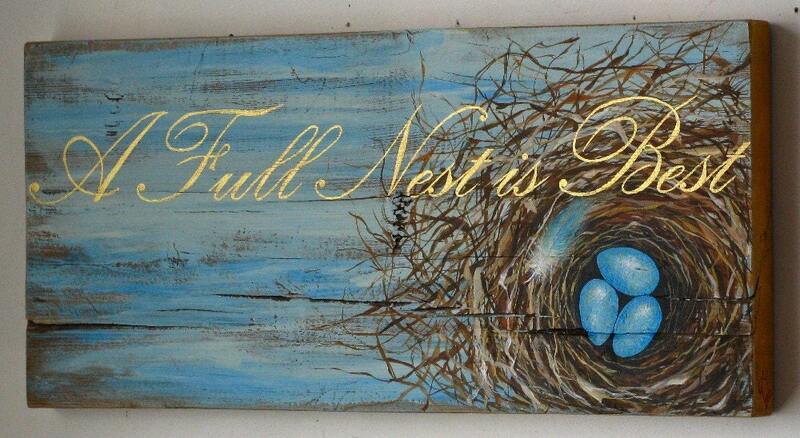 It"s painted on a reclaimed rustic solid wood board. All of our boards are chosen for their beautiful and unique qualities. 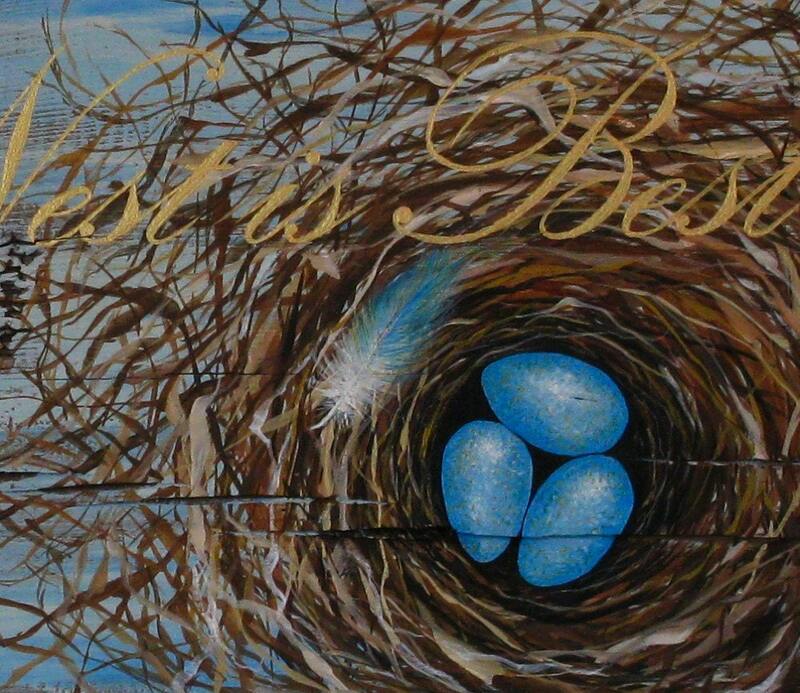 The calligraphy is hand painted and all art work is signed and dated by the artist Gigi. Hope you enjoy our shop.